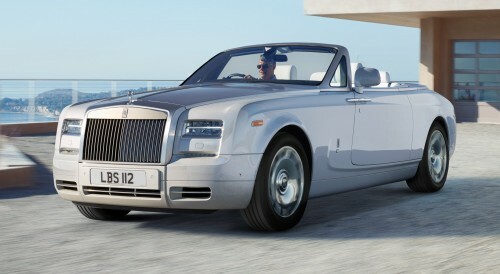 The Rolls-Royce Phantom series, comprising the original Phantom, the Extended Wheelbase, Drophead Coupé and Phantom Coupé, has been updated. Debuting at Geneva, the “pinnacle of automotive excellence” sees the introduction of new technology, enhancements to a “peerless” drive-train and improvements in connectivity. 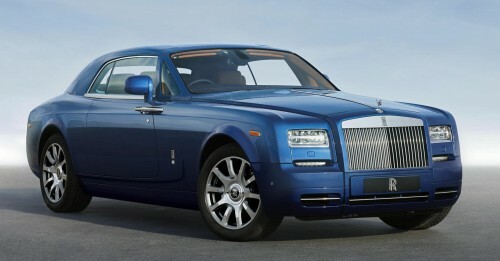 Roll out the red carpet for the Phantom Series II. The Phantom’s striking front end gets re-styled bumpers and rectangular light apertures that frame full-LED light clusters. These allow the integration of new tech like curve light functionality (headlamp beams are reflected in the direction of travel to provide better illumination when cornering) and adaptive headlamps, where light patterns change automatically according to driving speed. The Phantom Saloon and EWB wear a new front wing R-R badge with indicators and there’s also a new rear bumper incorporating a polished stainless steel highlight. Three new rim options have been added to the range of 21-inch wheels, the largest fitted as standard to any production car. The Phantom Coupé and Drophead Coupé now come with a single piece grille surround for a smoother, more contemporary face that arch into sculpted front wings. The flagship R-R’s drivetrain has also been enhanced. 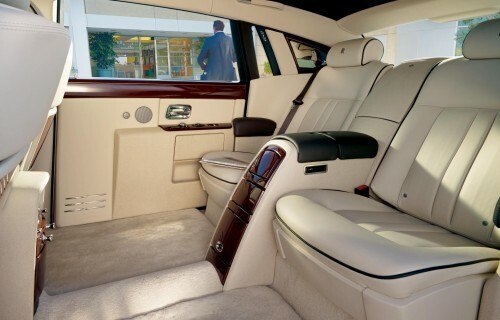 The addition of a new eight-speed ZF automatic gearbox and rear differential complements the 6.75 litre V12 direct injection engine, improving the fabled Rolls-Royce magic carpet ride. Fuel consumption improves by 10% on the combined cycle and CO2 emissions fall from 385 to 347 g/km, or 388 to 349 for the EWB model. Inside, an improved user interface and new driver assistance technologies have been built on the foundation of a new electronics’ platform for Phantom Series II. The satellite navigation system, for instance, has been fully updated with functions that include 3D map display with landscape topography, guided tours, as well as enhanced points of interest and composite route planning. Audio visual content, sat nav maps and driver information is presented on a new 8.8-inch control centre display (used to be 6.5), underlined by eight programmable bookmark buttons in chrome. Front, rear and top-view cameras help navigation in tight urban environments. When reverse parking for example, rear path prediction automatically deploys on-screen. Good help in a car as big as the Phantom! The saloon’s theatre configuration adds two monitors within veneered picnic tables for rear seat passengers. The inclusion of AV connectors, a six-DVD changer housed in the lower glove box and USB port in the centre console, means occupants can view separate content. Audio is provided by the LOGIC7 surround sound system by Harman. Seven individual sound signals are processed specifically for the cabin, and a nine-channel amplifier places musical instruments, sound effects and dialogue at different depths. The telephone cradle has been replaced by a standard fit smart phone cradle, which connects directly into the car antennae, and music can be copied onto the car’s HDD. Let’s part with a quote. “We should think of Phantom design as a piece of popular, classical music. Over time this has the possibility of different interpretations without losing the essential melody that we know so well,” says Ian Cameron, Rolls-Royce Motor Cars Director of Design. 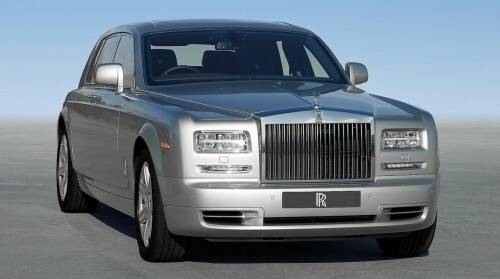 Rolls-Royce’s first and only showroom in Malaysia is located along Jalan Semangat, Petaling Jaya. Click here to read about our experience with the Phantom. That car will still look contemporary in 50 years. Only the looks looks contemporary, but the technology of the car was advanced.. Instead of making the headlamps bigger, BMW ought to adore the Phantom with HD LED lightning strips given that slimmer lamps are the trend, eg. 2012 Ford Fusion.